* $30 off when you add a Concession, 2 tables and 10 chairs (set) to any Bounce House rental. Enter Coupon Code Package at check out. 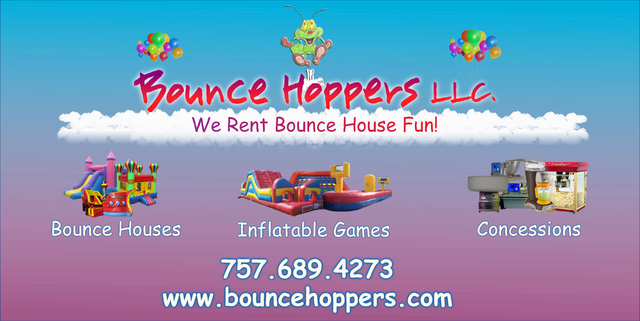 * $50 off when you add the Lil Bouncer to another Bounce House rental. Enter Coupon Code Preschool at checkout. * We offer Military and 1st Responder discounts please call the office 757 689 4273 for the code and please have verification available upon delivery.